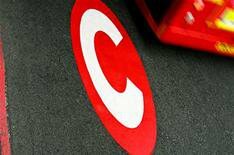 Boris fined for not paying C-Charge | What Car? London Mayor Boris Johnson was fined 60 after forgetting to pay the London Congestion Charge. The Conservative mayor, who champions cycling as a way of getting around the capital, forgot to pay the charge after driving to Trafalgar Square to light a Christmas decoration. Johnson yesterday admitted to receiving the penalty after being questioned by a presenter during a radio show.